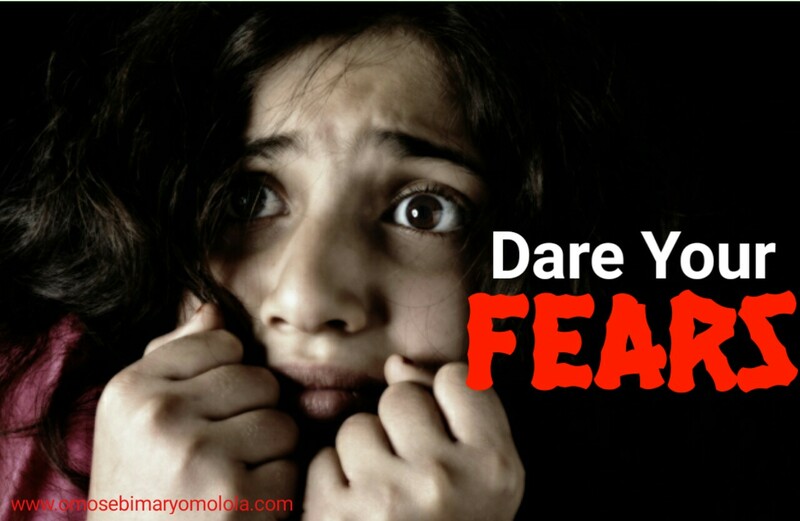 Today, I want to share with you two major experiences I have had with FEAR. . . I had this terrible fear/hatred for dogs that lasted so many years. It all began when I was a young girl. I had lived with a dog owner who treated us (human beings in the house) badly because of his dogs. For instance, he would buy milk for the dog while we didn’t get any to drink. We slept on empty stomachs sometimes when he got angry that we hadn’t fed the dog or given it enough food; because he had thrown our dinner away. It was really awful. My hatred for that particular dog gradually grew into deep fear for dogs generally. I literally began to shake when I saw dogs especially if they were not the local Nigerian breed of dogs. I was really praying that I wouldn’t marry a man who loves dogs. But hey, my wish was not granted. When I discovered that my husband loves dogs I changed gear for my prayers. I began to pray that he would not think of getting a dog despite his love for them. I had thought that my prayers were being answered until there was an attempt by burglars to break into our house and boom, my husband decided it was time to get a dog. I hated the idea but I had to let go under the condition that the care of the dog was his sole responsibility. Immediately I stepped out through the door, with a rod in hand and it’s food in the other, I saw the dog run away. I was wondering where it had gone. I walked towards the cage and peeped from a distance to see where it was (for fear of it not attacking me from the back) only for me to see it already standing in its cage. That incidence proved to me that fear is indeed an illusion. I had a similar experience with driving. I had an accident when I first begun driving several years ago which completely crippled my confidence to drive a car. I refused to drive for so many years. I would fight my husband whenever he tried to motivate me to try driving again. He tried petting me but it didn’t work. He tried the path of tough love but that didn’t work either. I said he wasn’t patient enough with me. The truth however is that it was totally my fault that I couldn’t drive. The culprit was my mind. It was all in my mind that I was going to have an accident if I tried to drive. It was when we had access to a second car that it occurred to me that my inability to drive was an issue. You see, I have killed snakes before. I am a naturally rugged person that dares all sorts. I can face anything and take on any challenge but these two, were big issues for me. My friends called me fearless (well now I believe I FULLY am). Many of them ask me if there was anything I couldn’t do. Let me not bore you with the list of things I have tried in this life. My decision to break the jinx was spontaneous. I just woke up one day and started driving again. I was always chanting the thirteenth verse of the fourth chapter of the book of Philippians (I can do all things through Christ who strengthens me) when I first set out to dare my fears. And God has been faithful to His Words. I have so many stories to tell about me being faced with fear. It’s just that I found it more difficult to conquer these two. Fear respects no one, I tell you. It will raise its ugly head anytime you try to embark on any path that leads to greatness. Stop allowing fear cripple your visions. Let your fear become afraid of you. …It’s either you scare your fears or your fears scare you from achieving greatness. It’s really left to you to decide who or what wins. Forget about the negative ‘what ifs’ and charge forward towards greatness not minding the scary thoughts. Great people do not settle for the easy way out. Fear makes you cower and run from taking risks. Receive strength to forge ahead without fear! Awesome write-up, thanks for sharing this ma. Thanks for reading. I appreciate your feedback too. This is for me. God bless you real good. Awesome! It’s good to know that this inspired you. It’s great to know this blessed you. Thanks for letting me know. Thank you for the feedback Gloria. I appreciate your kind words. God help me… Thanks for sharing sis.
. . . You’re welcome Sis Yetunde. Lovely one Sis. I had an accident when i first started learning to drive when I was 18 years. I stopped the learning and for years I couldn’t drive until I faced my fears. I still recite that Word, ” I can do all things through Christ that strengthens me.” Whenever I want to drive. The fear still comes once in a while but I chase it off with the Word of the God. I am glad to know that this inspired you. Thanks for the feedback .